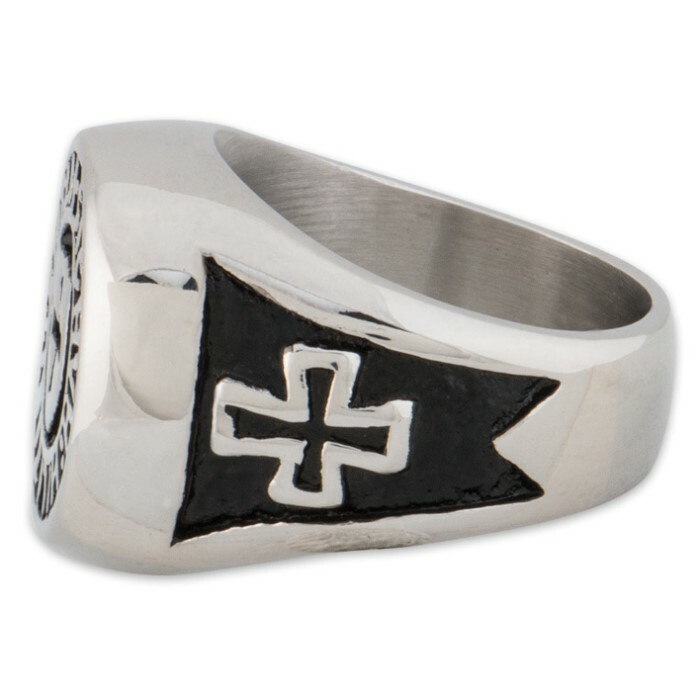 Shield Cross Ring | BUDK.com - Knives & Swords At The Lowest Prices! 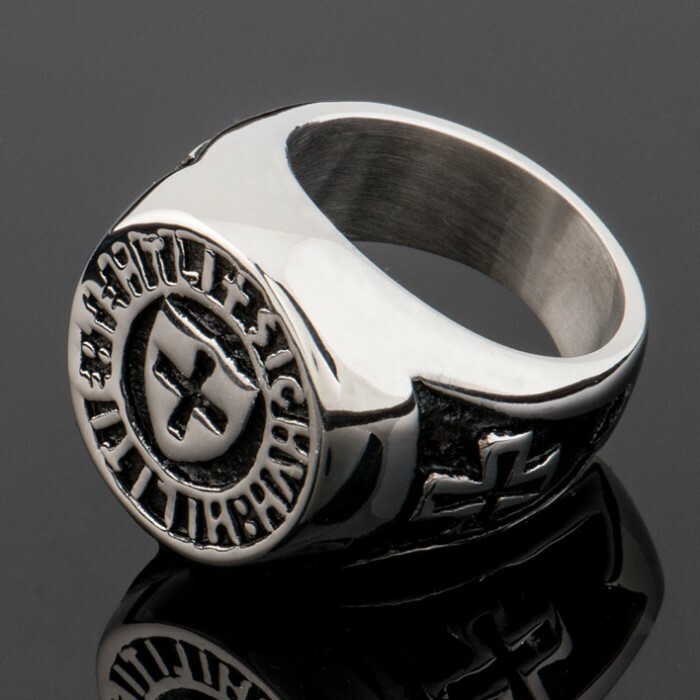 Intricately carved details are what really make this ring stand out as an elegant tribute to the Christian faith. It is crafted of quality stainless steel that is durable and rust-resistant. The design features a cross and shield set within a circle and a cross on a black background is on each side of the ring, as well. It is available in sizes 8, 9, 10, and 11. 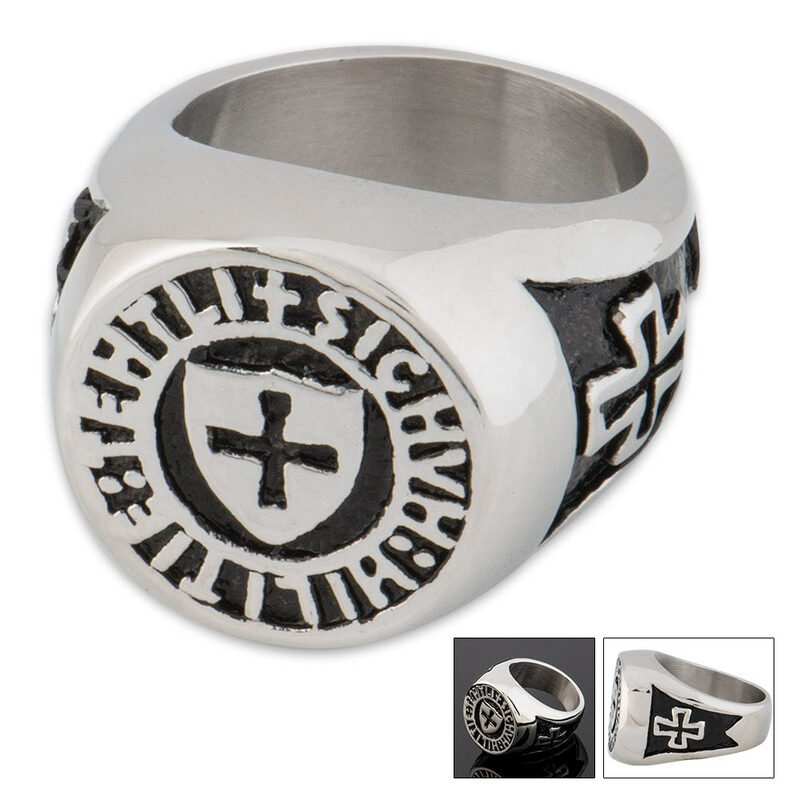 This ring will make an excellent gift for a father, brother, husband or friend.